What if she wants to use them separately? What about starching them and pinning them to the wall? What about framing a couple for wall art? 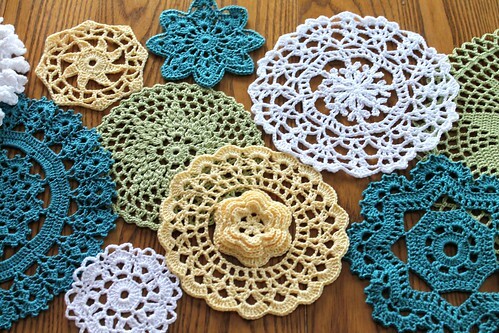 So I decided to just give them to her as separate doilies and then she could decide what she'd like to use them for... and depending on what she decides on I could always help! For the crochet specifics, I used size 3 thread and my 2.2mm steel hook. I had a lot of fun making all the different motifs! 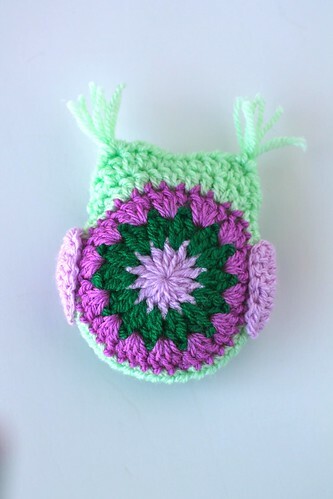 I also made another owl from Bunny Mummy's pattern, to put on the package I wrapped her doilies in. 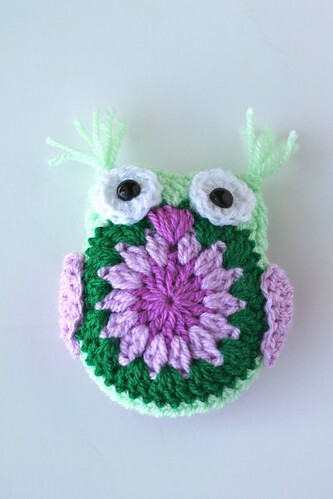 For this cute little guy I used DK weight yarn (Stylecraft) and a 4.0mm (G) hook. Thanks!! I picked the colors to match her kitchen! Thank you so much!! She loves it all so that makes me happy! I've changed my mind : may we be sisters???? Love the dolies! good idea to give them separately - so many options to choose from! I really like the colours you've used - they look really good together! Well you have had busy fingers, Kate! Wow! 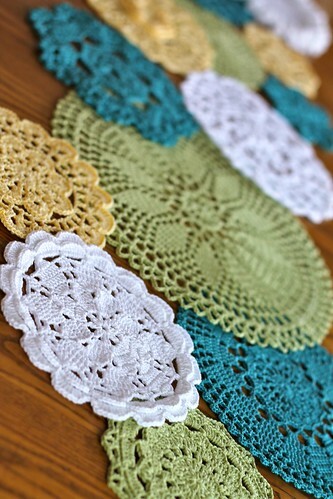 All those amazing doilies! I love the owl's colour combination. 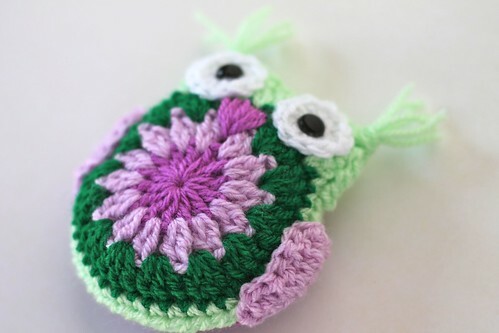 I That pale spring green with lilac and matching beak! Thank you so much!! I'll pass on the "happy birthday" to her!! These are so beautiful! And your work is impeccable! I am wondering if the Japanese patterns are all charts. I don't know how to read charts, so before I buy the pattern I wanted to see how you read them. 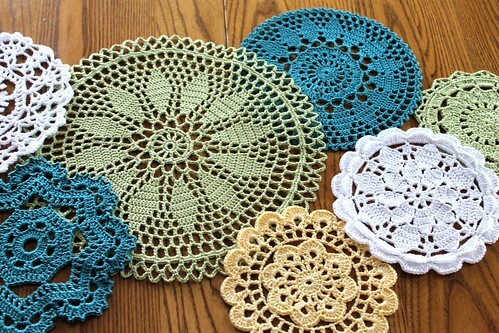 Your doilies are SO beautiful, and I love the colors you used! Cute little owl too. Wow, you must work fast! 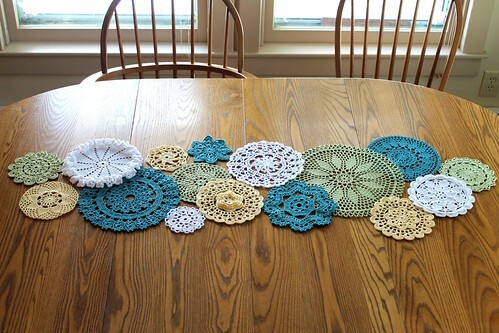 It takes me a while to complete a doily. Still learning I guess. Happy day to you! 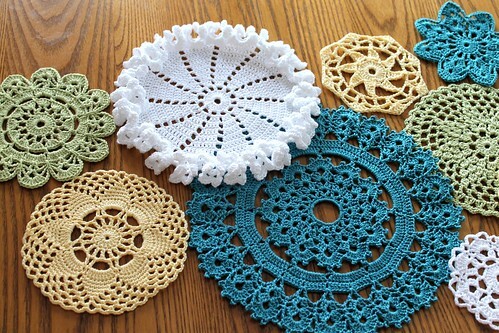 those doilies are just insanely beautiful!!! Your sister really is lucky! :-) Amazing job.